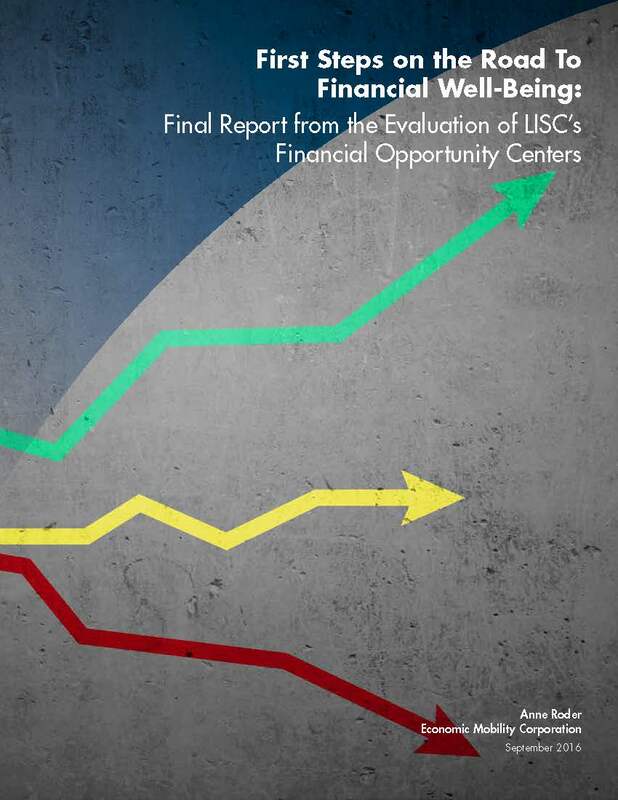 LISC’s Financial Opportunity Centers (FOCs) offer clients bundled services that include one-on-one financial counseling, employment assistance and help accessing public benefits to supplement work income. These findings offer concrete evidence that our model is successful in helping low-income people reach their financial goals and create a brighter future for their families. The evaluation was conducted as part of a grant from the Social Innovation Fund to implement evidence-based solutions. LISC’s Financial Opportunity Centers program would not be possible without the support of funders who provide their time, expertise and resources. National funders include: The Social Innovation Fund (Corporation for National and Community Service), Citi Foundation, MetLife Foundation, JPMorgan Chase, The John D. and Catherine T. MacArthur Foundation, State Farm, Bank of America, The Kresge Foundation, Accenture, Walmart Foundation, W.K. Kellogg Foundation, The Annie E. Casey Foundation, U.S. Bank and Capital One.